UNRWA traps Palestinians in a cycle of stateless dependency. Frustrated by Palestinian intransigence, the Trump administration has reportedly frozen $125 million of the American contribution to the internationally funded welfare agency for Palestinian "refugees," the United Nations Relief and Works Agency for Palestine Refugees in the Near East. Mr. Trump had expressed his irritation with the agency, known by the acronym UNRWA, in a characteristic tweet, noting that the U.S. provides "HUNDREDS OF MILLIONS OF DOLLARS a year" and gets "no appreciation or respect" from Palestinians. Nikki Haley, the U.S. ambassador to the U.N., echoed the sentiment, saying the U.S. would use funding as leverage "until the Palestinians are agreeing to come back to the negotiation table." This approach is unprecedented. The U.S. is UNRWA 's largest single donor, contributing more than $360 million of the agency's annual $1.25 billion budget. Historically, U.S. support to UNRWA has been untouchable despite the agency's role keeping Palestinians in social stasis, providing health, education and welfare services while undermining resettlement efforts and fomenting rejectionism—thereby perpetuating the Palestinians' "refugee" status for decades. 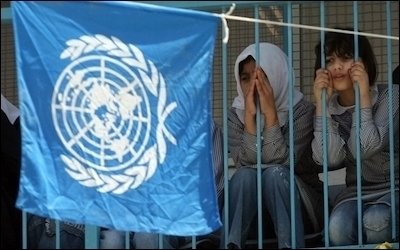 UNRWA 's own mismanagement makes the status quo more difficult to sustain. The Trump administration is not the only factor militating for change. The titanic crisis created by the Syrian civil war, which has produced millions of actual refugees (along with half a million civilian deaths), puts the Palestinian issue in a new and dramatically diminished light. UNRWA 's own mismanagement—such as reports that the agency has dramatically overcounted the Palestinians it serves in Lebanon—also makes the status quo more difficult to sustain. The U.S. supported UNRWA for decades largely because it did not wish the Palestinian issue to threaten other policy imperatives. During the Cold War, that meant containing communism and maintaining the flow of oil from Arab states. Since the end of the Cold War, U.S. policy has revolved around containing the Arab-Israeli conflict in order to prevent regional conflagration and preventing nuclear proliferation in the Middle East, especially Iran. American diplomatic support for a Palestinian state began in these contexts but was routed through the Oslo process and the Palestinian Authority, which has deliberately failed to create stable foundations for a functioning state. The Trump administration's Middle East policy is not yet formally wedded to any existing diplomatic process, whether with Iran or in the Israeli-Palestinian arena. While stability is a long-term American political goal, shifting funds from UNRWA and addressing other refugee crises has become likelier than at any time in the past 60 years. 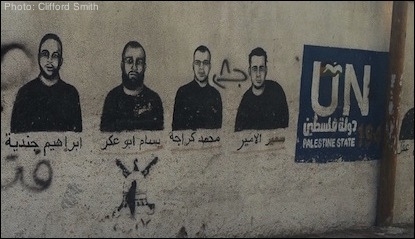 Walls of the UNWRA camp in the West Bank town of Aida are adorned with the images of those jailed for killing Israelis. So how can the Trump administration move forward regarding UNRWA? The first step needs to be a clear presidential policy statement on the question, made with the support of key congressional leaders: UNRWA has outlived its usefulness; the Palestinians are not "refugees" but are entitled to citizenship in the countries where they've lived for decades, and the Palestinian Authority must assume its responsibilities toward its own population. This must be followed by detailed plans to shift funds and responsibilities from UNRWA to the Palestinian Authority, with equally detailed mechanisms for oversight and auditing. And a long-term plan should be developed to take Palestinians off welfare and to make them self-sufficient, while shifting international funds to real refugee crises. UNRWA funds and responsibilities should be shifted to the Palestinian Authority. Given the State Department's long support of UNRWA 's agendas, implementing such plans will require political will. The positions of other U.S. agencies, such as the Defense Department and the National Security Council, are difficult to predict. Congressional pressure has historically been unable to move any bureaucratic parties from their long-held positions regarding the Palestinian status quo and UNRWA. A carefully developed political program simply to bring American officials on board is thus required. But the old adage that failure to support UNRWA and the Palestinian refugees would undermine Arab allies and lead to radicalization can no longer be taken seriously. Nor can the claim that the Palestinian issue is the most important refugee problem in the world. By confronting the problem of UNRWA, the Trump administration has the rare opportunity to disrupt dysfunctional patterns that are long entrenched and fantastically expensive. It also has the opportunity to confront the Palestinian Authority with a choice: If it wishes to be regarded as a state, then it must assume its responsibilities and act like a state. Western donors should demand nothing less. Otherwise, more pressing problems await, and the Palestinians will have missed another opportunity to take control of their own destinies. Alexander H. Joffe, a Shillman-Ginsburg fellow at the Middle East Forum, is a historian and archaeologist. Asaf Romirowsky is executive director of Scholars for Peace in the Middle East. They are co-authors of "Religion, Politics and the Origins of Palestine Refugee Relief" (Palgrave Macmillan, 2013).